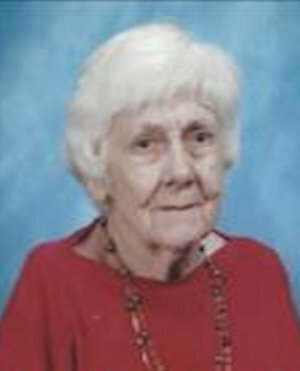 Obituary – Smith, Wilma Mae (Smith) « Perry High School Alumni Association, Inc.
Wilma M. Smith, 103, passed away peacefully in the arms of her granddaughter on Wednesday, December 17, 2014 at Green Valley Nursing Home. Wilma was born on May 8, 1911 in Manhatten, KS to Clara and Harvey Smith. She grew up in Manhatten, until her family moved to Noble County, OK to stake claim to land. Wilma received her high school diploma from Perry High School. She met A.L. Smith, the love of her life, and married him on May 1, 1936 in Noble County. Together, Wilma and A.L. created and operated the Smith Trucking Company. She owning the company, and would work many hours making sure that her business ran smoothly. Wilma also wanted to play a part in how her town was running, so she became the first woman to be part of the city council. Wilma and A.L. both helped when raising funds for the building of the First Christian Church. After the church was built, they became members and Wilma also joined the Woman’s guild. Wilma also enjoyed being part of the Marigold Garden club and was a member of stage coach. Wilma was preceded in death by her husband, A.L. 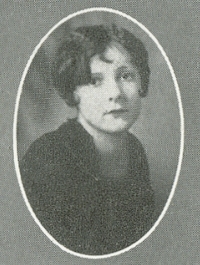 Smith of 29 years; both parents, Harvey and Clara Smith; three children, Clark Smith, Larry Smith, Deah Estes, a cousin, Estella Abbott, Catherine Clark, and one grandchild. She is survived by one child, Lori Lancaster and husband, Doyle Ray; three great grandchildren, Austin Robinson, Journey Biggs, Saffire Manter; one great-great grandchild, Asher Robinson, and a special dear friend, Leanna Holt. funeral service will be held on Monday, December 22, 2014 at 2:00pm at the First Christian Church in Perry with Pastor Martin Foster officiating. Burial will follow at Grace Hill Cemetery.